We got this and is soon as we got this we had to break it out being that it's cold and flu season my son and everybody in the house is sick. This thermometer is really awesome if you have a wiggly child or just a child that won't be still this is so perfect to take their temperature. This is so easy to use all you do is push the button and point it to their four head. Technology has come along way since I was a little kid. 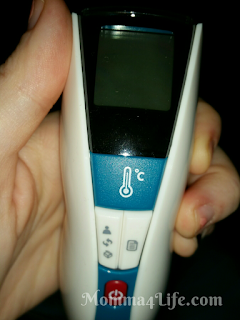 I remember before my parents taking my temperature and me not wanting to sit still know if this it's super easy and I am loving it even if you had any and that this would be awesome when they're sleeping you don't even have to touch them just push the button and point. 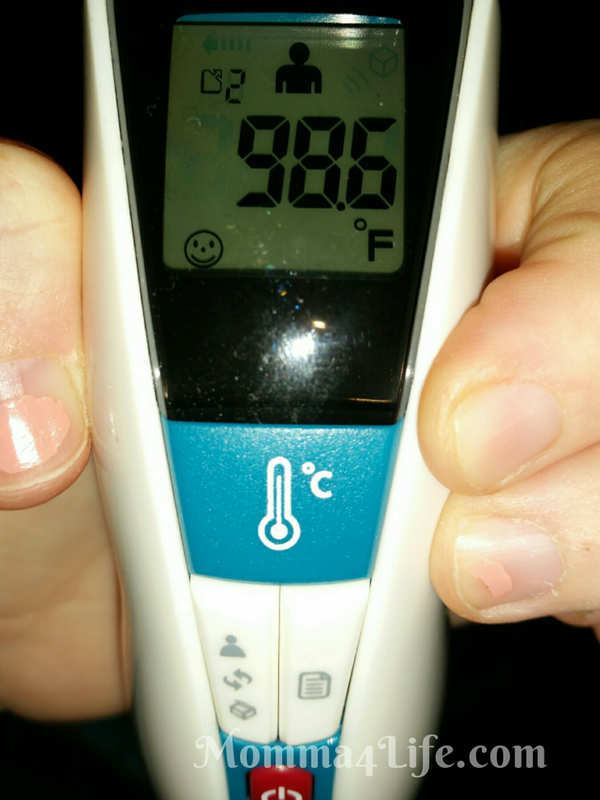 If you are looking for a great thermometer then look no further this is the one for you and make sure you tell everyone about it so they aren't missing out too. This is so great because you can scan two sick kids in a row without worrying about transferring their germs! This is really cool, especially for kids!